Cascade Christian Church Camp is operated under a special use permit from the Boise National Forest. From the beginning, Cascade Christian Church Camp has existed to serve the church camp, group, and family ministry needs of those who come to enjoy this hallowed ground. Originally established by the Region of South Idaho (Disciples of Christ), the site has been in continuous use since 1962, hosting church camps, family and youth groups, church retreats and other ministry events for the Disciples of Christ and other denominations. The majority of those serving on the Board of Directors are still members of Disciples of Christ congregations throughout the Region of Oregon and South Idaho. The Camp is operated by Cascade Christian Church Camp, Inc. The corporation is exempt from Federal income tax under section 501 (c) 3 of the Internal Revenue Code. As such, all contributions and gifts to the Camp are tax deductible. The Camp operates on monies received from rental fees, endowments and other generous contributions made by its supporters. Come add to the rich heritage of our Camp ministry. Call us today! 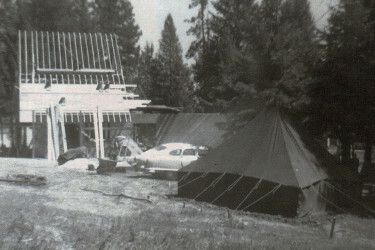 Once the original lease was entered into with the US Forest Service, the Lodge was constructed in 1962. Construction workers and volunteers slept and ate in large military tents near the construction site. One of the youngsters at the time recalls that he and his peers were sent to the lake each afternoon to catch fish for dinner, admonished that they’d better catch some or they’d go hungry! Youth programs have always been a key part of the history of the Camp. 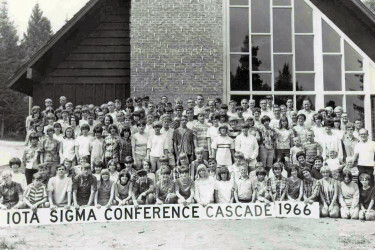 In the mid-60s, Christian youth camps were so large that at one point the high school conference had to be split in two, with grades 9 and 10 attending one camp and grades 11 and 12 attending another! Times have changed, but youth programs remain the strength of the experience at the Camp. The Christian Youth Fellowship camp for high school youth honors its graduates with a special banquet dinner and dance on the last night of camp. Graduate speeches at the dinner reveal just how important the camp experience and their communities of faith and friendship have been over their years together.